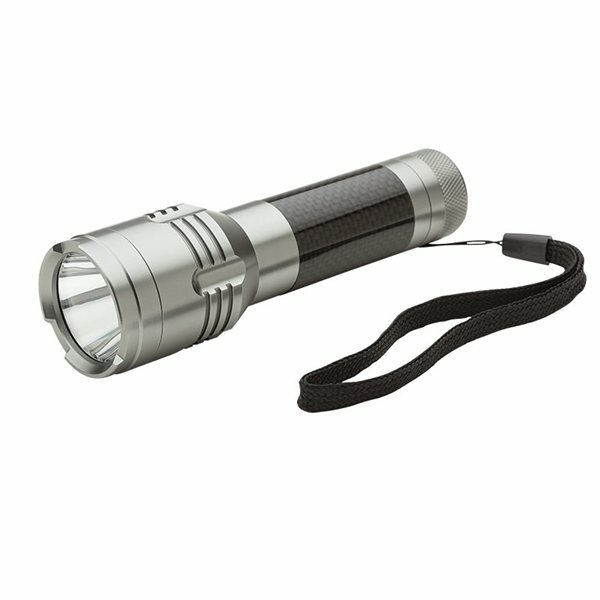 Aluminum flashlight with genuine carbon fiber inlaid handle has a bright Cree XP-E high efficiency white LED. Light also features a notched design to prevent it from rolling away, bottle opener, wrist strap and a rubber on/off switch. Finish / Material: Aluminum, Carbon Fiber. My order arrived a day earlier than expected. Given our very tight schedule, the sales personnel we talked to were quite confident that they'd meet our order. it was a nice product Excellent customer service. Call to follow up on order and shipment made as confirmed with customer service staff. Our patients think they are great. A great product at very affordable price. They were well received by the attendees at the convention. Great customer service. I felt comfortable that we would get our product on time and in good condition.